ExSpect is a software tool for discrete process modelling. It is suitable for business process modelling, production chain modelling, use case modelling, etcetera. An ExSpect model describes a process in terms of a collection of subtasks that communicate by message passing. The network of subtasks is displayed and edited graphically. A subtask can itself have a process model; this allows large models to be decomposed into manageable parts. Models can be analysed for structural correctness properties, and their behaviour can be observed through simulation, either step-by-step, continuous or with breakpoints. An ExSpect simulation can create or use external files; it is even possible to use an ExSpect simulation component. ExSpect can import process models created by other tools, notably Transflow's COSA workflows and Pallas Athena's Protos models. ExSpect embodies a coloured Petri nets approach to process modelling. A wide body of theory on the design and analysis of such models has been developed; the ExSpect tool allows you to put this knowledge to work. ExSpect development originated at the Information Systems group, faculty of Mathematics and Computing Science, TU Eindhoven, as part of the ongoing research in process modelling, and was continued by Bakkenist consultancy, now part of Deloitte . ExSpect is a native Windows desktop application; it runs on most versions of Microsoft Windows. It is known to run on Windows 8.1; Windows 10 hasn't been tested yet. It crashes on Windows 7; with compatibility settings, the crash can be delayed until the open file dialog. Please let us know if you have any idea how to fix this. No official support for ExSpect is available, although we are happy to answer any questions you have about the product. What we're offering here is the last version of ExSpect, released in 2000. Since then, development has stopped, and its designers rarely use it anymore. 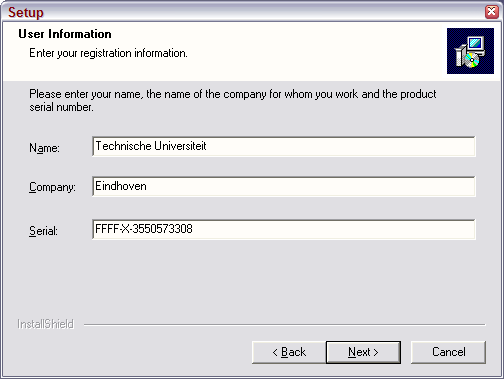 Copyright on the ExSpect software and documentation resides with Stichting ASPT, Eindhoven, the Netherlands. For all inquiries about ExSpect, please contact the maintainer of this webpage.